We buy car accident insurance to protect us against worst-case scenarios. In an ideal world, we would never have to "use" that insurance because we would always stay claim and accident-free. Unfortunately, life has a way of throwing curveballs our way, and if you or a loved one has recently been involved in a car accident – be it a minor fender-bender with property damage or a life-altering event – you need clear and quality instructions about how to proceed with filing your claim. This article aims to simplify and boil down this crucial information for you. Take pictures. 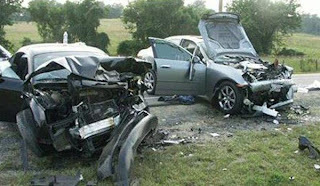 Take pictures of the scene of the accident with your cell phone camera (or other camera). Take pictures of your injuries – or the injuries of your passengers. Call the police. If the damage is substantial or if anyone is hurt, call the police and have a accident report filed. Make sure to save any/all documentation – and ideally, photocopy it for easy reference later. Bodily Injury – Bodily injury liability covers you if you are at fault in an accident and you cause injury to another person or persons. This insurance can cover things like medical bills, therapy, and rehabilitation. Your state may require bodily injury coverage. Typically, you will get minimum coverage for "per person" and "per accident." If you are shopping for car accident insurance, be sure you get enough bodily injury coverage – some experts recommend $100,000 BI per person and $300,000 BI per accident – well above average state minimums. Property Damage – Property damage covers you for any damage you cause to other vehicles or property (such as signs, sign posts, store fronts, or foliage). Uninsured/Underinsured Motorist Coverage (UM/UIM) – Unfortunately, not everyone on the roads carries insurance. To protect themselves, many drivers opt for coverage specifically to prepare for encounters with uninsured or underinsured motorists. Some states may actually have minimum UM and UIM requirements.